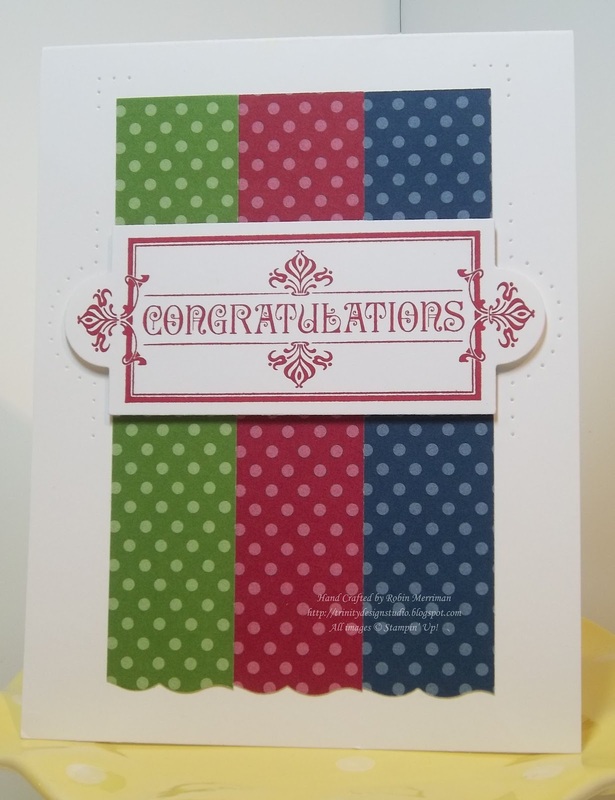 Trinity Designs: Cased Congratulations - and a Cool Tip! You know how sometimes you're traveling somewhere with friends or family and you want to capture the moment with your camera in a photo that includes all of you? So, you ask a friendly looking stranger to take your picture - trusting this stranger with your camera or phone - trusting that they will just take the picture and not mess anything up. And MOST of the time, it works out just fine. You get your picture, thank the friendly stranger and go your separate ways. Well, on my trip to Founders Circle it didn't quite work out that way and without going into details, lets just say that it's a good thing I have some projects already photographed and uploaded for your creative enjoyment. The card I'm sharing to day is a case of a card my friend Ingrid in Florida made a few months ago. 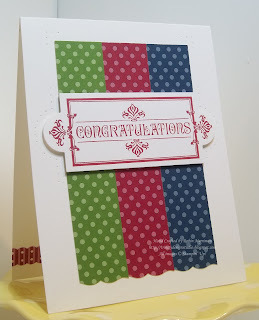 I did my version for card classes in July and the stampers here loved it! 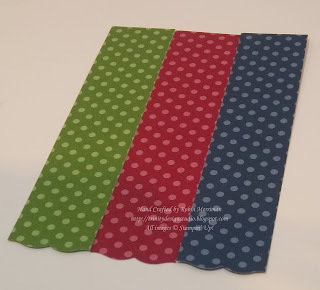 It uses three of the new In Colors - Gumball Green, Raspberry Ripple and Midnight Muse. A great color combo! I started with a card base of Whisper White, and used the polka dot pattern in the Designer Paper pack. 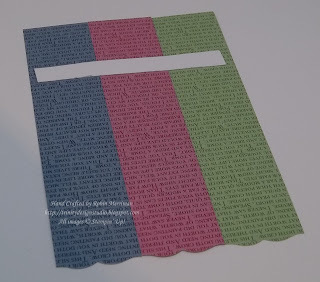 The papers strips were stacked together and I used the Curly Label Punch to create the wavy edge across the bottom. It's just around the outside edges of the die cut piece for a little extra something special. 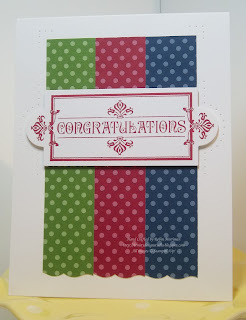 Once I'd done the piercing, I attached the greeting die cut to the card front with four Stampin' Dimensionals. Now, here's a little tip for you. I have always struggled to get strips of paper lined up perfectly, SO, I found an easy-peasy way to get them even! Simply take a small strip of scrap cardstock and run SNAIL adhesive along the whole strip. 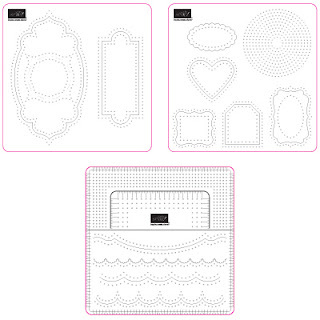 Position the center piece of designer paper first, right in the middle of the scrap cardstock. Next, just add the other strips to either side of the first, lining them up at the top. I really love the clean and simple look of this card - AND how quick and easy it was to create. Thanks Ingrid for the great idea! I'm headed into the studio to finish a project now that I've got a new camera that works - yay! I've got a busy, busy week ahead, so cross your fingers for me! !